Are you currently unemployed because you didn’t pass the FTCE Math 6-12 test? Are you working as a teacher’s aide, substitute teacher or a job you hate with at embarrassing low per hour rate? Do you want to pass the FTCE Math 6-12 test and climb the next level in your teaching career? If you answered yes to these questions, you need to face the huge FTCE test practice challenge. The FTCE Mathematics 6-12 exam is known for its level of difficultly. And it’s even more difficult if your major in college wasn’t mathematics. The best FTCE Math 6-12 practice test can help you breakthrough this final roadblock to your dream career. Highly ‘exam-accurate’ FTCE practice exam questions help you see the exam content before you enter the testing center. Don’t let a low grade FTCE Math 6-12 study guide ruin your bright future as a Florida educator. Unfortunately, many The vast majority of FTCE 6-12 study guides are written by “ghost writers.” This fact pertains to both free FTCE Math 6-12 study guides online and $17-$45.00 books sold at Barnes and Noble and Amazon.com. These lowly paid corporate writers don’t have a degree related to science, engineering or mathematics. Obviously, they’re attempting to teach you to pass a test they’re not fully familiar with or ever passed! Don’t this to happen to you. Make sure you prepare for this exam to give yourself a highest chance of obtaining your teaching certificate. 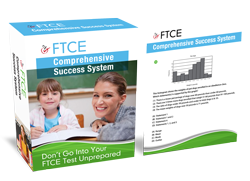 Go to: Free FTCE Practice Test — to see a FREE Guide: “How To Pass The FTCE Math 6-12” now. There is no perfect preparation, but Teaching Solutions FTCE Math 6-12 books have a very high pass rate. You’ll make mistakes in your preparation. But the trick to effectively preparing for the test is to minimize the mistakes you commit. For this reason, you need to learn FTCE Math 6-12 study tips that can help you be more effective in preparing for the exam. These study tips should clearly help you make progress in your test practice and preparation. I’ve been a FTCE Math 6-12 test preparation coach for more than a decade. I’ve seen all the study tips out there. From my experience, I’ve compiled the best list of math study guide tips for the Mathematics 6-12 preparation. Now I’m going to share some of these effective tips to you for free! Be More Effective In Your Preparation With These FTCE Math 6-12 Study Tips! Familiarize yourself with the common calculator functions. Since you can’t bring your own scientific calculator for the FTCE Math 6-12 exam, you have to know the common calculator functions. This can help you use the scientific calculators provided to you on the testing site without any difficulties. Put the scrap sheets of paper you’re provided with to good use. At the start of your mathematics examination, you can devote 5 minutes to write down math formulas so you won’t forget them later on. You can list down more formulas as you go along in answering the exam. You can use this as a reference when you encounter test questions that may require one of the formulas you listed down in your scrap paper. FTCE Math 6-12 Practice Test Questions for word problems can be very challenging to solve. Devote extra time into practicing how to solve the typical mathematics word problems you’re likely to see on your testing date. In your FTCE Math 6-12 practice exams, train yourself not to look at the choices first before making an answer. Only look at the given choices once you’ve solved for the answer on your own. If your answer matches any of the given choices, chances are you got it right! This FTCE Math 6-12 test taking strategy is really effective so make sure you use it. The Math 6-12 is difficult but it’s not impossible to pass. As long as you have effective study tips to help you in your practice tests and study guides, there’s no reason why you can’t prepare very well for it. The study tips I just showed you are very effective. In fact, they’re among the best! Use them in your preparation so you can pass the FTCE Math 6-12 exam.